We hear this same old story from clients of ours multiple times every week. You spend hours at a dealership checking out cars, talking numbers, applying for financing, arm wrestling a dozen managers and a few hours later when you finally get to the finance office…you realize that there are tons of hidden fees that nobody told you about before you wasted all this time and energy. You thought you had a deal worked out! Sadly this type of crap happens all the time and it must work on some people because there are many dealers that still charge all kinds of hidden fees and never tell customers about these fees until they’ve invested many hours of their time. This used to be a thing that you heard about with car dealers who specialize in bad credit financing, but now many new car franchised dealers have gotten in on the fun and are starting to mistreat their customers as well. Always ask for the exact total price before going to the dealership. Just ask for the total sale price as if you’re paying cash and just bringing a check in with you. Ask for the total and then the exact breakdown of the items. You need to know the sale price, sales tax, registration, etc. Get that before you leave your home. If a dealer won’t give you that…just move on. You time is too important to waste it there. Get the exact pricing in writing. Ask for a text or email with the exact numbers so you can plainly see all expenses in black and white. Always check the dealership’s online reviews. Dig deep into the dealer’s history and you can usually spot a bad dealer pretty quickly. You’ll find many reviews like the ones below with people claiming they were being asked to pay a bunch of nonsense fees. Dealers that do business like this aren’t worth dealing with and they certainly don’t deserve your business. Car Pro Tip: Do as much research on the dealer as you did on the vehicle that you want to purchase. Finding the right dealer is just as important as finding the right vehicle. Autocheck is owned by Experian and their vehicle history report (or VHR) is most notable for employing a vehicle history scoring system. They provide a number and a range — like 85 out of a range of 70-90. This shows their customers how this particular vehicle compares to other similar vehicles built that year. It is meant to be a quick way to identify and eliminate vehicles that might have issues, ranging from accident reports to salvage, flood history, etc. The scale isn’t zero to 100, which can be confusing to folks researching vehicles. We ran a report on a 2016 Mercedes-Benz E Class and it received a score of 82. Sounds like a good car, right? But this particular E Class was in a major accident, declared a total loss and issued a salvage title, according to the report. The number that matters is the range and, from there, where the particular car scores. In this case, the range for similar E350s was 88-93. The one we were checking, with a score of 82, was 6 points below the bottom of the range — not a great bet for a used car, in other words. We also ran a report on a 1996 BMW 328i with a salvage title. It scored 25 out of a range of 31-53. Six points seems to be the deduction for having a salvage title, but the numbers weren’t clearly explained. AutoCheck does provide info that Carfax sometimes misses or doesn’t have access to, so running both reports is a must for anyone serious about buying a vehicle. Autocheck has been the preferred VHR provider for auctions and automobile professionals for a couple decades, so they get insider auction info that Carfax does not have access to. For example: many vehicles get sold at auction every day that have a clean Carfax report, but an independent inspector at the auction finds frame damage or previous frame repair from an accident that the car had that was never reported to Carfax. In this case, Carfax will not have this info…but the auction does pass it along to Autocheck and their report reflects that auction announcement. That’s important. The Autocheck report is broken up into six sections. Section 1 is an overview. This section gives you a quick snapshot of the important stuff: accident check, number of owners, odometer check, title brand check and their score. This is the most important section and most bad cars can be eliminated from your shopping list by simply looking here. Section 2 is the accident check section. This is the area that would give you more info if an accident was reported in section 1. Section 3 is the Title Brand Check section. This one is easy to figure out and problems will stand out. Section 4 is the odometer check area of the report. This is where Autocheck would provide more detailed information about any odometer issues noted in section 1. Section 5 is the Vehicle Use Section. This is where you’ll find information concerning rental car use, taxi cab use, vehicle repo records, etc. Section 6 deals with detailed records. This is where you can find registration renewals, title transfers, etc. Pro Tip: Pay close attention to section 1, 5 and 6. The other sections are really just fluff and matter very little. The score can also be misleading, so take that with a grain of salt and just read the report. We use Autocheck every day at eimports4Less and we find it to be a very valuable resource. Reviewing a Carfax report is a must when researching vehicles that you may be considering purchasing. This actually should be the first step in the purchase process because many cars have negative history issues. Researching vehicles via Carfax early in the shopping journey will help you eliminate bad cars quickly so you can spend more time researching the vehicles that you’d consider owning. Carfax does not list much in the way of service history information, but they are very good at providing detailed information when it comes to odometer readings, DMV records, accident reports, total loss and any other sort of title history issue. Carfax lists the important info in a few different sections on the report. Some of the info provided is just retail “fluff” to fill up the report, but most is very useful. Section one gives you a quick view of the important info that you need to review. This is where you’ll see alerts concerning accident and damage history, number of owners, any noted service records, use type and last reported mileage. This is the most important section because you can usually spot a bad car right here and just move on to the next vehicle. Pay attention to the accident history and damage history especially. The “USE” section will also note if a vehicle has been used as a taxi or rental car, this is important info as well. Very few shops and dealers report service to Carfax, so the service section is not important. Section two is very short and there’s not much info to discuss here. The type of owner is noted again because it’s important to note whether a vehicle is a previous rental car or taxi delivery vehicle. Other than that, this section just summarizes the vehicle mileage and highlights the fact that this particular vehicle has had only one previous owner. Section three is very short and to the point. This section deals with title history issues and this is where Carfax really shines. This is the real important stuff and Carfax is so confident in the accuracy of this info that they’ll actually buy the car from you if they missed something here. Section four is a little redundant. Carfax again lists info about “accidents/damage” reports, etc. Nothing to see here except whether or not an airbag was deployed or if frame damage or a frame repair was noted on a vehicle. This section is not overly valuable. Section five is pretty important and should be reviewed to mainly look for inconsistencies in the mileage that is being reported. You’ll find registrations, some service info, state inspection records and more here. Pay close attention to section one. You can typically spot a bad car by spending just a few seconds scanning the info listed in this section. 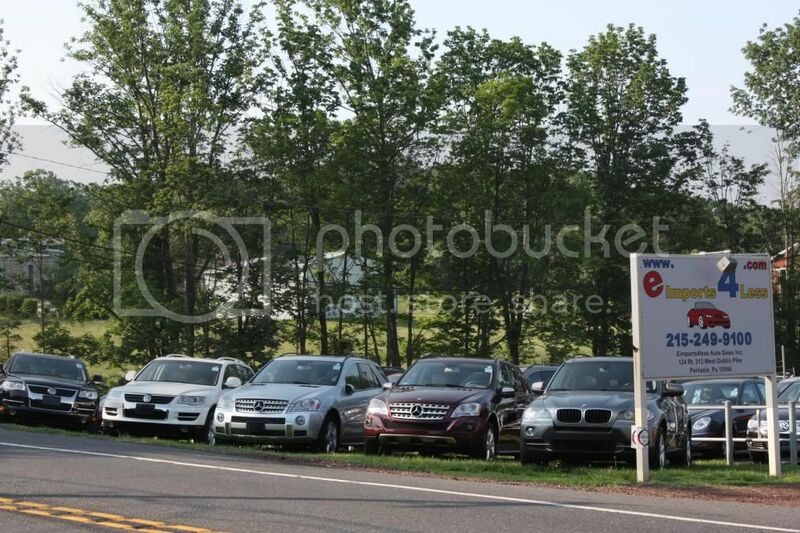 Our buyers can usually eliminate a problem vehicle from consideration within five seconds when researching vehicles for our inventory at eimports4Less just by reviewing the first section. Across the country, old U.S. railway lines have been transformed into places to play. Removed from traffic, these multi-use trails are worth seeking out. In the 1960s, a group of railroad history lovers and outdoor enthusiasts in Washington, D.C., organized an effort to preserve unused railroad corridors as public multiuse trails. by 1986, the movement had grown into a nonprofit organization known as the Rails-to-Trails Conservancy. Some 30 years later, there are more than 2,000 rail trails scattered across the United States that range in length from a few miles to 240 miles (Missouri’s Katy Trail State Park). Some are well-known, like New York’s City’s High Line, and others are small town secrets. Many trails are open for public activities, including walking, biking, horseback riding, and even snowmobiling. The Atlanta BeltLine is transforming a 22-mile stretch of railway corridors into a trail that connects 45 neighborhoods, one the largest redevelopment projects in the country. An ongoing project covers four inactive freight lines and will include 33 miles of multiuse trails when it is completed. Currently, four sections of the trail are open. This stunning 12.4-mile trail begins in the southern part of Burlington and follows the shores of Lake Champlain before ending on a 2.5-mile raised rail bed that juts across the lake. The trail ends abruptly, but the views of the lake and the Adirondack Mountains are inspiring. A seasonal bike ferry connects the causeway to South Hero Island, where visitors can try out other bikeways. These include the South Hero loop, which miniature stone castles built on the island by a local gardener as a reminder of his native Switzerland. More local to eimports is the Ironton Rail Trail in Whitehall, Pa. The 9 mile trail follows the Coplay Creek from North Whitehall through the 110 acre natural Whitehall Parkway. Following the parkway, the IRT turns towards Saylor Cement Kilns and then parrallesthe Lehigh River and the D & L National Trail. The IRT then turns in a northwesterly direction where it again follows Coplay Creek to form a unique 5.2 mile loop. The 10′ wide, flat grade of the IRT, with many easy access points, has a paved surface on 7.8 of the 9.2 mile trail. Three spots were up for grabs in the Round of 8 finale and it was this season’s “Big 3” that clinched them in the penultimate race of the season. Logano advances to Miami with his win in the opening race of the Round of 8 at Martinsville Speedway, when he moved Truex Jr. up the track in Turn 3 on the final lap to pull out the win. And it turns out, it was a move that saved his season considering Logano cut a tire on Lap 95 at ISM Raceway and exited the race thereafter. Truex Jr. recovered from that disappointing Martinsville finish, though, to clinch his third Championship 4 appearance in the past four years. For “Rowdy,” he got there by winning Sunday at ISM for his eighth victory of 2018. Harvick rallied for his fourth Championship 4 appearance in five years in the playoff elimination format. His run to Miami hit an unexpected bump due to a penalty following his win at Texas. The infraction cost him 40 points in the driver standings, the result of which sent him from “clinched” to just three points above the cutoff line entering Phoenix. Chase Elliott, Kurt Busch, Aric Almirola and Clint Bowyer were eliminated from contention. The drivers will duke it out at Homestead-Miami, coverage starts at 3:00 pm on Sunday, 11/18 and will air on NBC. As travelers pack up their bags and get ready for Thanksgiving week, one thing is certain: They will not be alone. The TSA estimates that more than 25 million travelers will be screened at airport checkpoints between Friday, November 16, and Monday, November 26, a 7 percent increase compared to last year. According to AAA, the 2018 Thanksgiving weekend will see the holiday period’s highest travel volume since 2005, with over 54 million Americans expected to travel 50 miles or more. While the day before Thanksgiving has traditionally been one of the busiest travel days of the year, TSA reported that it has started to see more people start their travels the Friday before Thanksgiving, with most passengers choosing to return home on either the Sunday or Monday after Thanksgiving. The busiest travel days will still be the Tuesday and Wednesday just prior to Thanksgiving and the Sunday after Thanksgiving—that Sunday is actually projected to break into the TSA’s top 10 busiest days ever. As for driving, AAA reports that the Wednesday before Thanksgiving will be the worst day for drivers in San Francisco, Chicago, and Los Angeles; the Tuesday before will be the worst day for folks heading out of New York, Washington, D.C., Detroit, Atlanta, Seattle, and Boston; and Monday will be the worst pre-Thanksgiving traffic day for those in Houston. The Sixers welcome their newest star to the team tonight when they take on the Orlando Magic in Orlando at 7pm. Jimmy Butler was acquired from the Timberwolves where he averaged 21.3 points, 4.3 assists and 5.2 rebounds in ten games this season. He’ll now being playing alongside Ben Simmons and Joel Embiid, making this Sixers team a legit Eastern Conference contender.